Can More Than One Style Describe Me? You are here: Home / DISC FAQs / Can More Than One Style Describe Me? And, the answer is: Yes. The DISC model describes patterns of behavior. It doesn’t describe people. When we use the DISC model to assess person’s style blend, we look for the patterns of behavior they use on a consistent basis. Most people will use a blend of the four different DISC traits to some degree. Generally, people will use one of the four traits more than the other three. We would call that trait their primary style. In addition to a primary style, most people will use one or two of the other three styles, and we call those secondary styles. When you use a DISC assessment to find a person’s style, you’ll see that any one trait is rarely a full description of anyone. Each of us is really represented by a blending the four DISC traits and not by just one of them. And, of course yes that’s true. Even when we teach it ourselves, we sometimes get lazy or sloppy with our speech and drifts into that terminology. We hope that you’ll be really careful about that because that’s not really the whole story. Please remember, you overall style is a blend of the four DISC styles. You probably have more than just a single style. You likely have a primary style and one or two secondary styles. You might shorthand your conversation and say “I’m an I” or “I’m an S.” And that’s just shorthand. You’re more than that, and so is everyone else. The DISC model is not a perfect descripion of anyone. It’s good. It’s useful. It’s not perfect. It’s just a tool that helps you get a better picture of your traits and the traits of others so that you can simplify the huge complexity of human behavior and get quickly to a place where you can connect and communicate better. 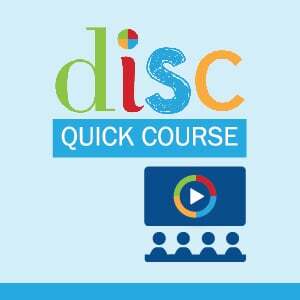 This program is a short, fast series of videos designed to give you quick insights and tips for applying the DISC model. 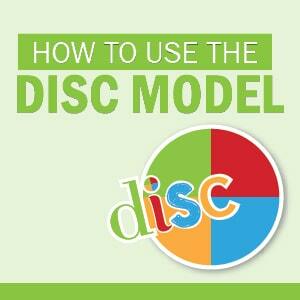 A video training program to help you learn how to use the DISC model more successfully. The videos play from our website. You'll get immediate access. How Can I Better Understand Another Person?